I am so excited to be writing about CRUSH Fitness! They are located close to the intersection of Lamar and Barton Springs Rd. which puts them in a great location for anyone either north or south of Town Lake! I have been wanting to try them out for quite some time now and thought it was time to check this place out for myself. 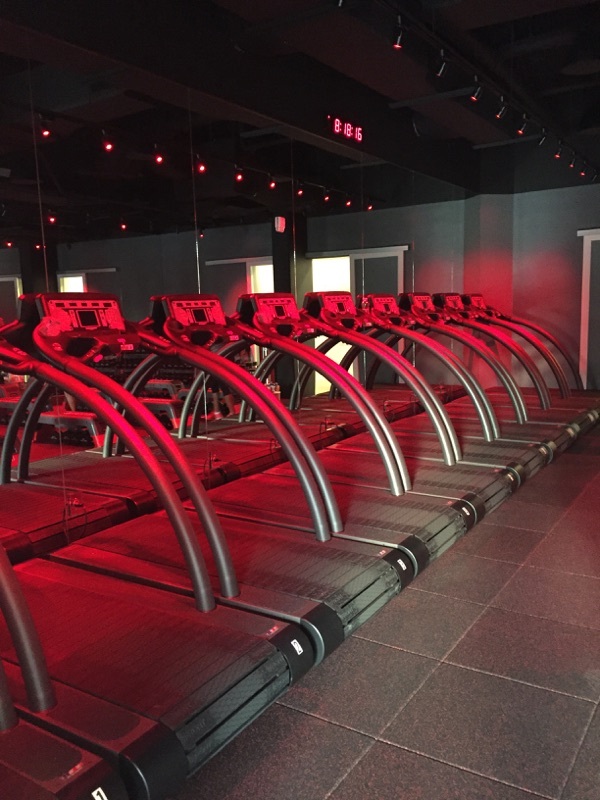 CRUSH is the only studio in Austin (that I know of) who offers a treadmill/floor based workout! You alternate between doing sprints on a treadmill, to floor based exercises targeted at either your core, arms, legs or total body! Even if you are not a huge fan of running, this class is a great way to incorporate it into your workout routine because they’re more like short sprints ranging from 30-60 seconds! Quick Tip: Just because the person next to you is sprinting at a level 10 doesn’t mean you have to be at a level 10. So if your “sprint stage” is a level 7, then it’s a 7 and that’s awesome! Just keep in mind that everyone is different and as long as you’re putting in 100% effort, that’s all that matters. Although each class may focus on a different muscle group, they all abide by the same principle which is alternating between a sprint/run on the treadmill, and a floor workout that incorporates hand weights and a step bench. For this class specifically, we alternated between a 12 minute run on the treadmill and a 12 minute core workout. The 12 minute treadmill run wasn’t boring by any means. We focused on hill sprints and increased the incline while increasing speed for a certain amount of time. Then, once you’re all out of breath from running, you switch gears to the floor and complete a 12 minute round of different ab exercises like v-ups, Russian twists, and planks! We did another round of treadmill sprints (but different intervals) and floor exercises (different ab movements). This is something I don’t always mention, but the playlist they had going on was AMAZING! Sometimes what makes or breaks it for me with a studio, is the music they play and the sound system. I like surround sound, intense, upbeat music that keeps your mind off of the pain and on the grind. So they got an A+ in my book just for the tunes alone! P.S. They also hand out cold hand towels soaked in essential oils! I love when studios do that… also tributes to giving them an A+! 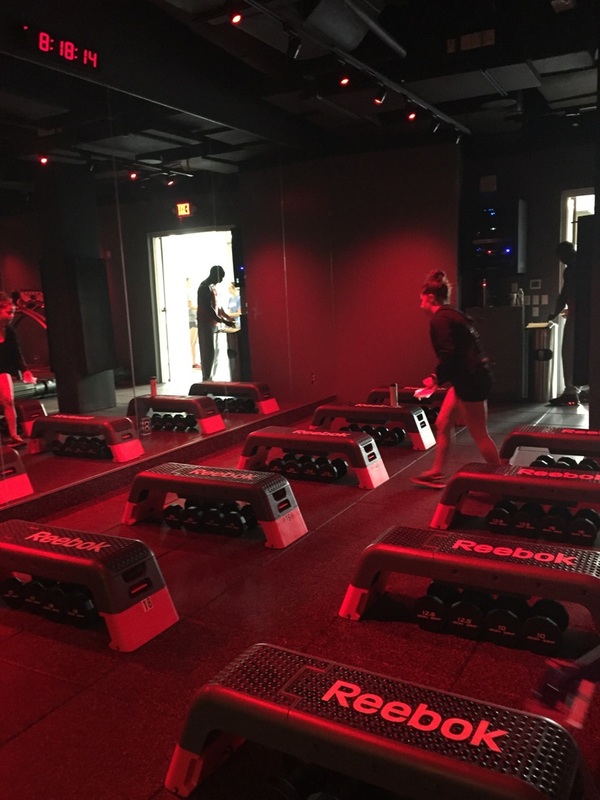 About: CRUSH Fitness offers a unique blend of treadmill and bench classes that are designed to torch calories and increase cardio stamina and strength! With total body toning and high intensity intervals, you can blast up to 800 calories in one class. By combining tread and resistance training transitions, you will maximize calorie burn, build lean muscle, and CRUSH your workout. Tip: Wear some good running shoes (I recommend Brooks or Asics) and bring a water bottle! They have a fill station as well as sweat towels, shower (stocked with soaps), and towels. Born and Raised in the great city of Austin, TX. I grew up with the city and after years of competitive swimming, have turned my passion for health and wellness into my career. Follow along for Functional based Workouts, Paleo Eats, and how to Treat Your Body Good. Follow Spin Syddy on Facebook!